Welcome aboard the USS Nemo, an exquisite fine dining experience in Naples, FL. Our award-winning cuisine and unique ambiance make us a premier destination for high-end dining in southwest Florida. Voted a top restaurant in Naples year after year, locals and visitors alike appreciate our inventively prepared, freshly caught dishes. 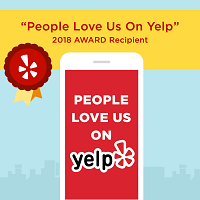 That’s why reviewers from across Florida and around the country — including the New York Times, Zagat Survey and Fodor’s — laud our elegant restaurant, long a Naples favorite. Whether you’re looking for the Best Lunch on the Gulf Coast (Best Lunch, Gulfshore Magazine) or the Best Seafood Restaurant in Naples (Naples Illustrated) — or you simply want reliable fine dining in Naples (AAA Recommended, and called the “most consistently great restaurant in Naples!”) — the expertly prepared and thoughtfully presented dishes at Nemo’s won’t disappoint. Review our menus online, and you’ll discover tempting options to satisfy every palate. Our specialty is seafood — don’t miss our miso-broiled sea bass, our signature dish — but you’ll also discover diverse land-based dishes such as braised Wagyu beef briskey, sautéed veal sweetbreads and grilled Colorado lamb porterhouse. Prefer a lighter meal? Explore our vegetarian dinner specialties, such as miso-glazed tofu or Admiral Tso’s cauliflower tempura, served alongside a fragrant sweet and sour sauce and jasmine rice. But don’t forget to leave room for our appetizers and desserts, where dishes such as tuna tataki pizza and fresh coconut cream pie await. If you’re looking for the perfect Naples lunch restaurant, stop by Nemo’s! Your choice of fish tacos, crunchy grouper, coconut shrimp and Hawaiian Poke are just a few of the seafood choices you can savor. Alternatively, try the steak frites, sashimi salad or grilled octopus. When it comes to great dining in Naples, Nemo’s prepares delightful cuisine that satisfies critics and locals alike. Call Nemo’s at 239-261-6366 to make a reservation, or you can book online. Nemo’s, where award-winning cuisine awaits.